Today, as we do every week, Talos is giving you a glimpse into the most prevalent threats we’ve observed this week — covering the dates between Aug. 24 and 31. As with previous roundups, this post isn’t meant to be an in-depth analysis. Instead, we will summarize the threats we’ve observed by highlighting key behavioral characteristics and indicators of compromise, and discussing how our customers are automatically protected from these threats. Recorded Aug. 24, 2018 — We’re finally back in the studio after Hacker Summer Camp! Sadly, due to summer vacations and becoming bionic, we are missing Joel and Nigel, respectively. 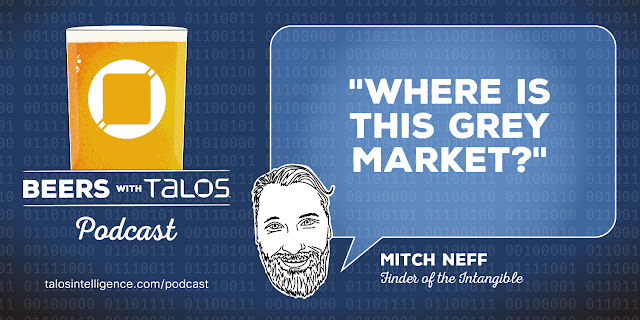 We end up discussing most of our topics through the lens of Matt’s frequent Twitter polls. We also find out he bribes followers with free sporks. Craig brings the discussion on the details of Remcos, and goes through some interesting points on the emerging grey markets in security software and "vuln disco." The crew closes this episode discussing the hypothetical merits of perfect patching versus perfect visibility. This post was authored by David Liebenberg. Cryptocurrency miners are becoming an increasingly significant part of the threat landscape. These malicious miners steal CPU cycles from compromised devices to mine cryptocurrencies and bring in income for the threat actor. In this post, we look at the activity of one particular threat actor: Rocke. We will examine several of Rocke's campaigns, malware, and infrastructure while uncovering more information about the actor. After months of research, we believe that Rocke is an actor that must be followed, as they continue to add new features to their malware and are actively exploring new attack vectors. Talos has written widely about the issue of cryptomining malware and how organizations should protect systems against this threat. We continue to actively research developments in this threat through research that includes monitoring criminal forums and deploying honeypot systems to attract these threats. It is through these intelligence sources that the Chinese-speaking actor which we refer to as "Rocke" came to our attention. 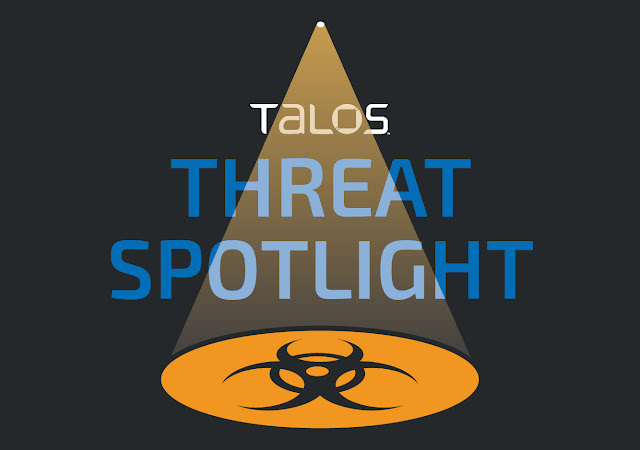 Today, as we do every week, Talos is giving you a glimpse into the most prevalent threats we’ve observed this week — covering the dates between Aug. 17 and 24. As with previous roundups, this post isn’t meant to be an in-depth analysis. Instead, we will summarize the threats we’ve observed by highlighting key behavioral characteristics and indicators of compromise, and discussing how our customers are automatically protected from these threats. As a reminder, the information provided for the following threats in this post is non-exhaustive, and current is as of the date of publication. Detection and coverage for the following threats is subject to updates, pending additional threat or vulnerability analysis. For the most current information, please refer to your Firepower Management Center, Snort.org, or ClamAV.net. This blog post was authored by Edmund Brumaghin and Holger Unterbrink with contributions from Eric Kuhla and Lilia Gonzalez Medina. Cisco Talos has recently observed multiple campaigns using the Remcos remote access tool (RAT) that is offered for sale by a company called Breaking Security. While the company says it will only sell the software for legitimate uses as described in comments in response to the article here and will revoke the licenses for users not following their EULA, the sale of the RAT gives attackers everything they need to establish and run a potentially illegal botnet. Remcos' prices per license range from €58 to €389. Breaking Security also offers customers the ability to pay for the RAT using a variety of digital currencies. This RAT can be used to fully control and monitor any Windows operating system, from Windows XP and all versions thereafter, including server editions. In addition to Remcos, Breaking Security is also offering Octopus Protector, a cryptor designed to allow malicious software to bypass detection by anti-malware products by encrypting the software on the disk. A YouTube video available on the Breaking Security channel demonstrates the tool's ability to facilitate the bypass of several antivirus protections. Additional products offered by this company include a keylogger, which can be used to record and send the keystrokes made on an infected system, a mass mailer that can be used to send large volumes of spam emails, and a DynDNS service that can be leveraged for post-compromise command and control (C2) communications. These tools, when combined with Remcos provide all the tools and infrastructure needed to build and maintain a botnet. Within Cisco's Advanced Malware Protection (AMP) telemetry, we have observed several instances of attempts to install this RAT on various endpoints. As described below, we have also seen multiple malware campaigns distributing Remcos, with many of these campaigns using different methods to avoid detection. To help people who became victims of a harmful use of Remcos, Talos is providing a decoder script that can extract the C2 server addresses and other information from the Remcos binary. Please see the Technical Details section below for more information. Today, Talos is publishing a glimpse into the most prevalent threats we've observed between August 10 and August 17. As with previous round-ups, this post isn't meant to be an in-depth analysis. Instead, this post will summarize the threats we've observed by highlighting key behavioral characteristics, indicators of compromise, and discussing how our customers are automatically protected from these threats. Recorded Aug. 8, 2018 — We decided to broadcast while we were all together at Black Hat and invited everyone over for lunch and beers. Since we had a room full of people, we made this episode “choose your own podcast” and took topics from the audience. Neil Jenkins from the Cyber Threat Alliance came by to bestow befitting superhero swag on Matt and Adam for their work on VPNFilter. Headlining this event is our very special guest: Dave Bittner from The CyberWire. Microsoft released its monthly set of security advisories today for vulnerabilities that have been identified and addressed in various products. This month's advisory release addresses 62 new vulnerabilities, 20 of which are rated “critical,” 38 that are rated “important,” one that is rated moderate and one that is rated as low severity. These vulnerabilities impact Windows Operating System, Edge and Internet Explorer, along with several other products. In addition to the 60 vulnerabilities referenced above, Microsoft has also released a critical update advisory, ADV180020 which addresses the vulnerabilities described in the Adobe Flash Security Bulletin APSB18-25. Today, as we do every week, Talos is giving you a glimpse into the most prevalent threats we’ve observed this week — covering the dates between Aug. 3 - 10. As with previous roundups, this post isn’t meant to be an in-depth analysis. Instead, we will summarize the threats we’ve observed by highlighting key behavioral characteristics and indicators of compromise, and discussing how our customers are automatically protected from these threats. Secure communications are one of the most important topics in information security, and the Transport Layer Security (TLS) protocol is currently the most used protocol to provide secure communications on the internet. For example, when you are connecting to your online banking application, your favorite instant message application or social networks, all those communications are being transmitted using TLS. With TLS, the information sent by the browser and the service is secured and encrypted, meaning that the information cannot be modified or tampered with by an attacker. The communications are also verified to ensure that the browser is connected to the right endpoint (e.g. Wikipedia). 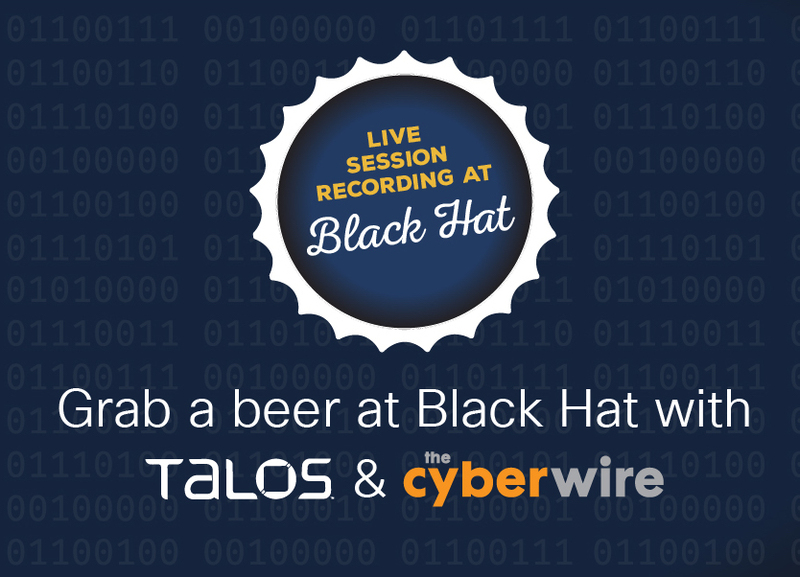 This week at Black Hat and DEF CON, Cisco security consultants Alfonso Garcia Alguacil and Alejo Murillo Moya will deliver a presentation, called "Playback: A TLS 1.3 Story," about some of the known security implications of using 0-RTT and will show proof of concepts of some attacks that have been seen in real-world environments. The intent is to raise awareness across the security community about that new feature. The presentation will be presented at Black Hat USA 18 and DEF CON 26. Attendees will learn about TLS 1.3 0-RTT, see some examples about how an attacker could take advantage of that new feature and get an understanding of the security implications of enabling the feature and how it could be used safely minimizing any potential security impacts. It is once again time for the week in the summer when many of us descend on Las Vegas for Black Hat, DEF CON, and B-Sides LasVegas. 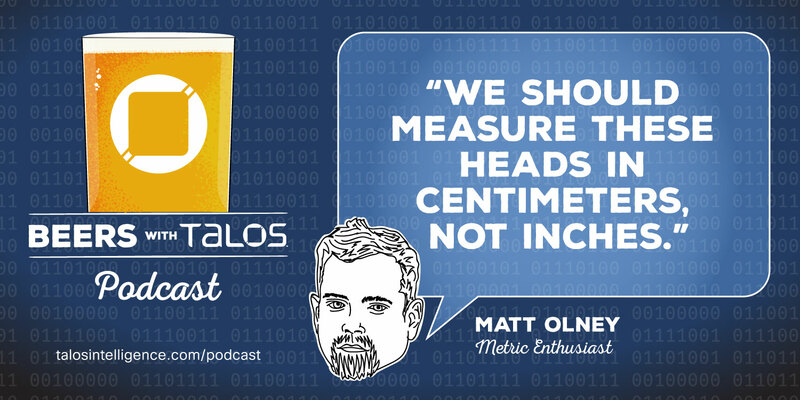 This is your official guide to what the Cisco Talos Threat Intelligence team is doing at these shows and what some of our colleagues around Cisco Security are doing, as well. Whether you are looking to catch some great talks, hunting down the best parties, or just trying to avoid LineCon in all it's forms, here is a quick run-down of where and how you can catch Talos speakers, Cisco events, and other fun stuff you don't want to miss. Read on for the full details of what Cisco has in store for this year. Exploitable or Not Exploitable? Using REVEN to Examine a NULL Pointer Dereference. It can be very time-consuming to determine if a bug is exploitable or not. In this post, we’ll show how to decide if a vulnerability is exploitable by tracing back along the path of execution that led to a crash. In this case, we are using the Tetrane REVEN reverse-engineering platform, which allows us to identify the exploitability of the bug quickly. Probing for software vulnerabilities through fuzzing tends to lead to the identification of many NULL-pointer dereference crashes. Fuzzing involves taking various permutations of data and feeding those permutations to a target program until one of those permutations reveals a vulnerability. The kinds of software bugs we reveal with fuzzing may be denial-of-service vulnerabilities that aren’t particularly critical and simply cause the software under test to crash. However, they could also be evidence of an arbitrary code execution vulnerability where the NULL pointer can be controlled, leading to the execution of code supplied by an attacker. Below, we will sort through all of this and determine whether a particular flaw is exploitable or not.